It and the street lights were built when there was talk of running electricity from the U.S. side over to Boquillas, and of building a bridge. There was opposition to these plans (the Sierra Club was very vocal as I remember - maybe Shane has more info on this?) and obviously it never happened. I thought those were left overs from the anticipation of U.S. power that never showed up. I bring this up now because of a picture that Al posted, which appears to show sodium vapor street lights in the village of Santa Elena. It would seem that street lights would be a low priority unless more than solar power was available. Perhaps I'm seeing street lamps that are really windows lit by lanterns? Last August while exploring the cane brake below Cottonwood CG, I noticed a power line crossing the river I presumed leading to Santa Elena. Many years ago there was an attempt to run power from the U.S. to Boquillas. Power poles, etc. were installed and then the Sierra Club was successful in stopping it. There is or was a generator that was used mainly to pump water. I remember being told by a local in Boquillas that the lines there never got power because someone was afraid that the falcons/ hawks would DIE if they landed on them. He said the GOVERNMENT said so. I had assumed that it was HIS government. After reading this post, sure sounds like the Sierra Club. I have no first hand knowledge but did discuss it with several independent sources way back when who said the same thing. Probably through NEPA/EIS requirements that made it too much trouble to do. Here's a shot of San Vicente from another primitive campsite along River Rd. 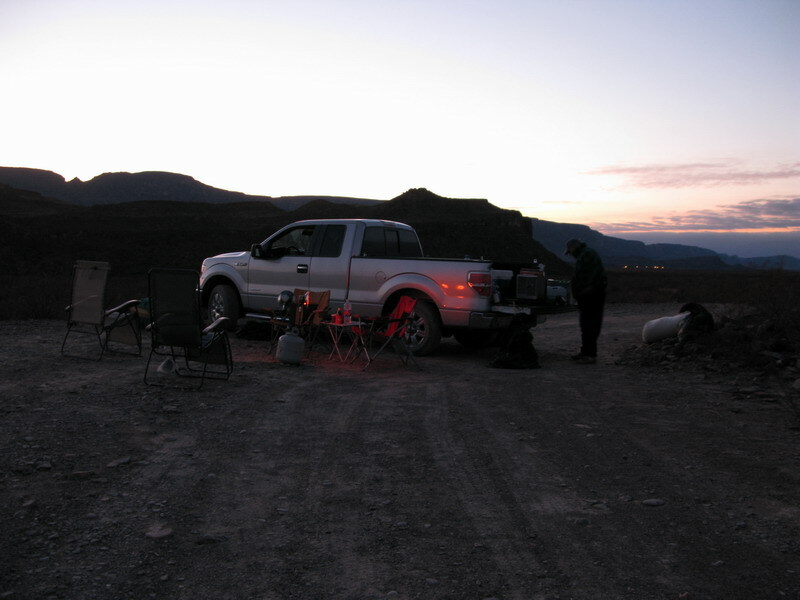 That night we saw a single light, which came on briefly several times and then was gone. went right over the village of Santa Elena which went along with your picture pretty good. Buenos Aires to be in your picture. Don't tell the Sierra Club. And I was going to complain to the NPS about the light pollution! Al I assume you are just teasing Homero and the rest of us with just a few pictures until the full trip report right? I get the idea that it is not uncommon for Mexican communities along the river to buy their juice from the States. When my late father-in-law worked for Dow at La Linda in the 60's, the power for the ore crusher came from Marathon. 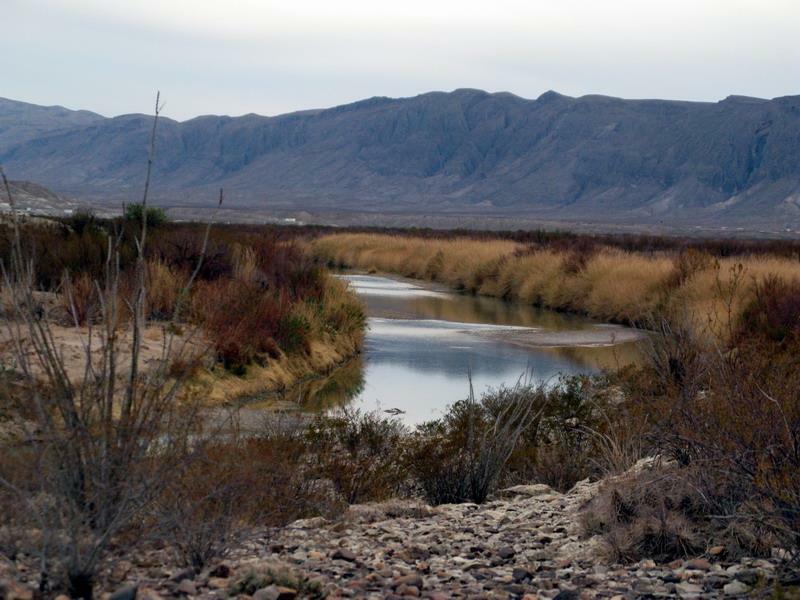 On the Boquillas issue, there ought to be a low key spot to hang a wire across the River, one would think. The biggest problem is the rules that apply to any construction within the park. Dang and I thought I was being sneaky! :67: :67: :67: I'll try to do a report in a few days . . .